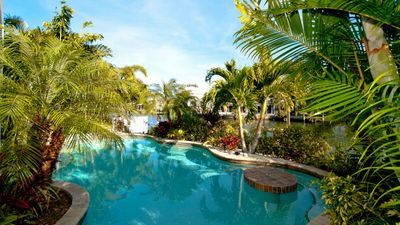 Stunning canal front Anna Maria Island vacation rental home “3 Oars” is the perfect destination for your next luxury getaway! 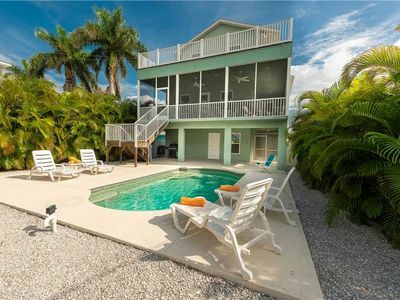 With everything you expect from a fun and relaxing vacation, “3 Oars” has it all! Spaciously accommodating up to eight guests with four bedrooms and four bathrooms no amenity was overlooked at “3 Oars”. 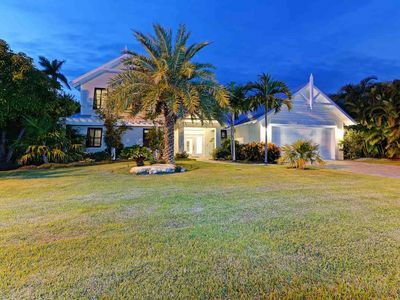 Designer decorated, this new home features chic island luxury at its best with updated style and a casual feel. 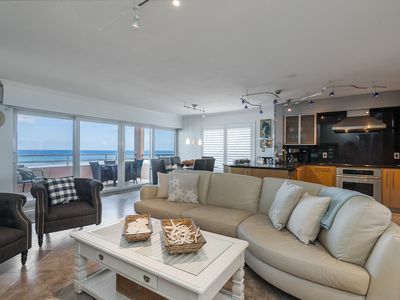 The open floor plan and vaulted ceiling of the kitchen, living, and dining rooms make this Holmes Beach vacation rental a pleasurable place to gather friends and family for a memory maker vacation. The high end kitchen at “3 Oars” will have the home chef excited for meal time! This custom kitchen comes with beautiful countertops, Island counter seating, stainless steel appliances, wine chiller, gas range, dishwasher, tons of oven space and all the luxuries of a well stocked and designed kitchen. In the more formal dining room area seat all eight guests, or four can gather at the breakfast table. 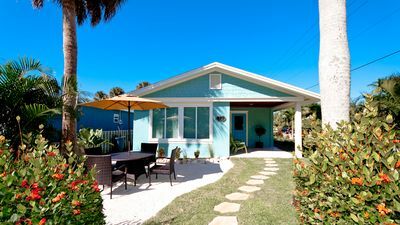 The designer living room offers plush furniture, flat screen television, a view of the backyard pool and canal, and is a great spot to relax while enjoying wireless internet. 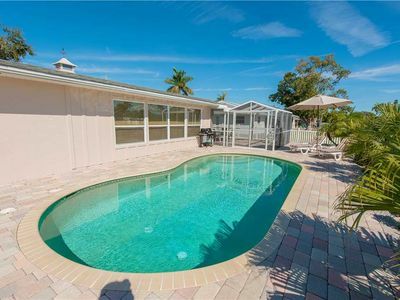 You will love waking up to magnificent Anna Maria Island sunrises over Bimini Bay while sipping on coffee and enjoying the morning views of this canal front location. 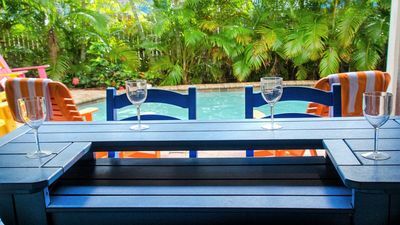 The backyard at “3 Oars” is truly a gem with a great covered seating area, beautiful paver patio, propane barbeque grill, heated pool and amazing views. The bedrooms at “3 Oars” are wonderfully well-appointed with everything to make you feel comfortable in your luxury home away from home. 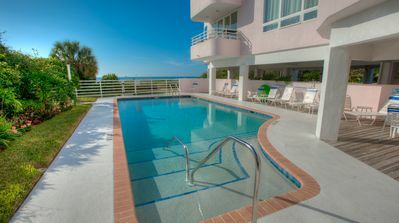 Each bedroom offers comfortable sheets and furnishings, flat screen televisions and private full bathrooms. No guests will be disappointed in their room as there are two king bed master suites and two spacious guest suites across both the lower and upper living levels. On the lower living level you’ll find one of the king master suites, and the queen bedroom with both offering gorgeous walk in showers. The lower level master suite offers a gorgeous view of the pool with patio access through glass double doors. On the upper living level find the second king master suite with separate walk in shower and oversized garden tub for soaking. 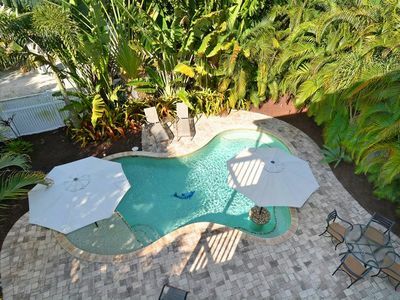 The upper level master suite offers a gorgeous balcony overlooking the pool and canal. The upper level guest room offers two twin beds, and a tub/shower combo. 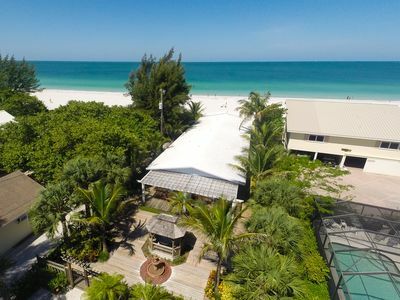 This luxury Anna Maria Island vacation rental home offers 30 night minimum stays, convenient elevator, docks boats up to 36 feet, and allows pets up to 25 pounds with pet fee! 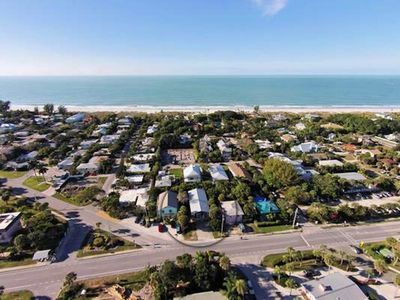 While visiting Anna Maria Island be sure to check out the fabulous shopping, DINING and FUN ACTIVITIES in addition to plenty of beach side relaxation! 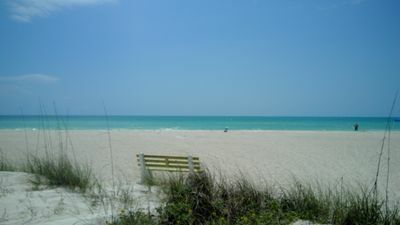 For the perfect Anna Maria Island vacation reserve your stay at “3 Oars” today! Please note: there is an additional pet fee charged (per pet plus tax) if you are bringing a pet, excluded from online pricing. Sep 01 2017 - Dec 31 2025 : Saturday check-in required. Saturday check-out required. 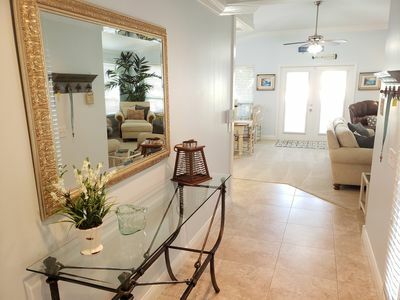 Closer to the beach does not work: comfortable apartment at ground level on the beach. 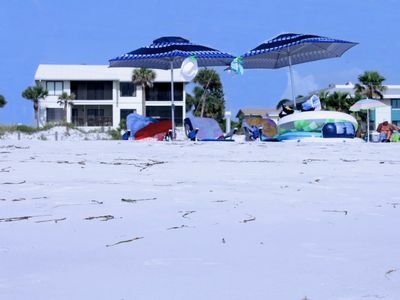 ON BEACH REDUCED RATES FOR EARLY SUMMER BOOK NOW!! 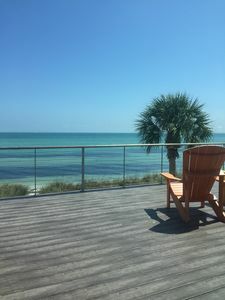 Enjoy Beach to Bay Views! Great Location!